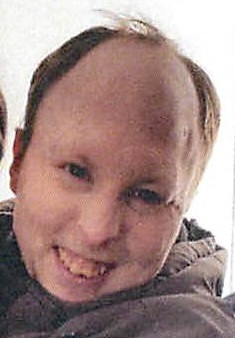 Shawn P. Courtney, 36, died March 13, 2019 as a result of his many chronic handicaps. He was born January 18, 1983 in Springfield and attended multiple programs during his lifetime starting as young as 9 months old. Shawn was so full of life and enjoyed all his “adventures” and had a joy that radiated pure love! Shawn is survived by his parents, Laurie (Berthiaume) Courtney-Charest and (Papa) Gilles Charest of Westfield and his father, Gary Courtney, his loving brother, Nicholas Charest and his wife Jennifer of West Springfield and several aunts, uncles, cousins and friends. The family would like to thank Shawn’s countless doctors and nurses along with all the staff who cared for him over the years to help him be the best he could be. A funeral home service will be Wednesday March 20, 2019 at 4PM at the Toomey-O’Brien Funeral Home 1043 Westfield St. West Springfield with a calling hour from 3-4. In lieu of flowers the family asks that you consider donations to a cause of your choice, or possibly a fund in Shawn’s name to assist other handicapped individuals.